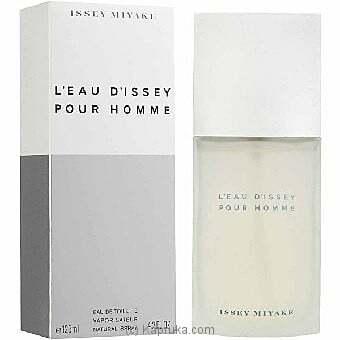 Issey Miyake uses very unusual and rare materials such as yuzu and the elegance of woods. This fragrance was created as a universal Eau de Toilette perfect for any occasion. L`Eau d`Issey for Men is a woody aquatic fragrance with yuzu as in top notes, along with notes of bergamot, lemon and tarragon. Heart note: Spicy and woody: nutmeg and water lily. An end note carries an intense woody scent which is sharp and enriched with tobacco,sandalwood, cedar, vetiver and musk. It was created by Jacques Cavallier in 1994.